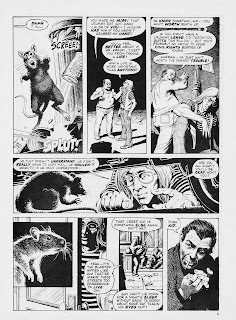 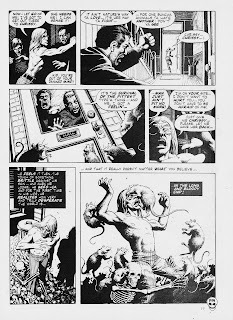 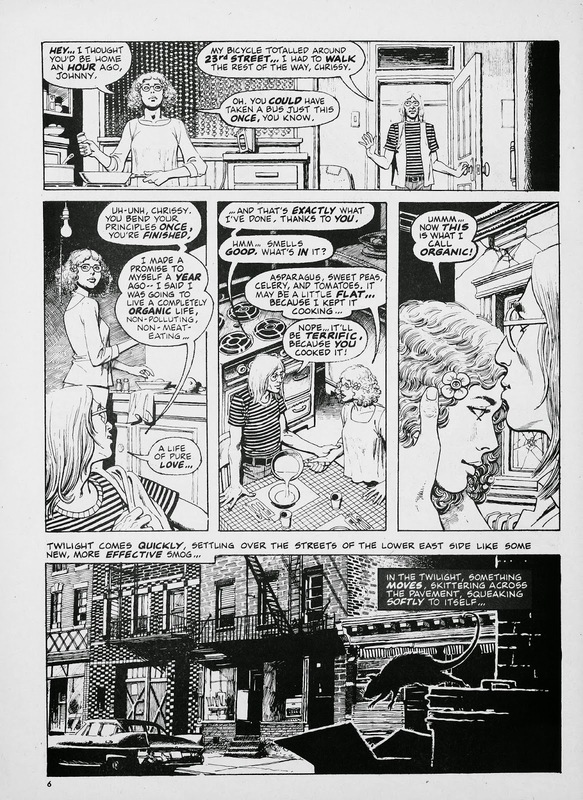 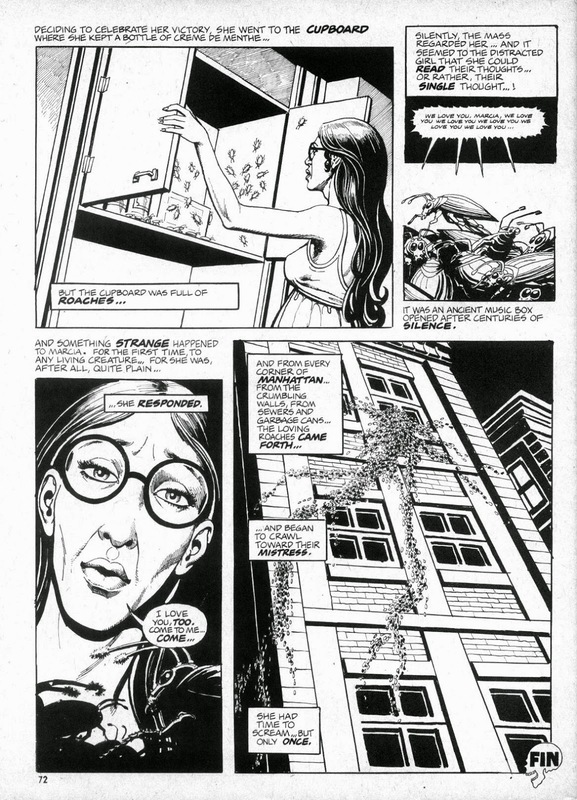 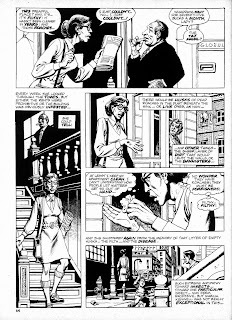 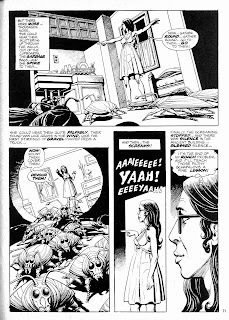 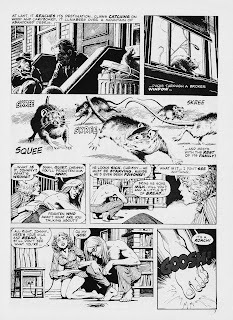 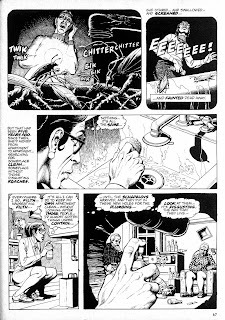 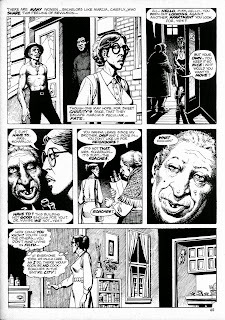 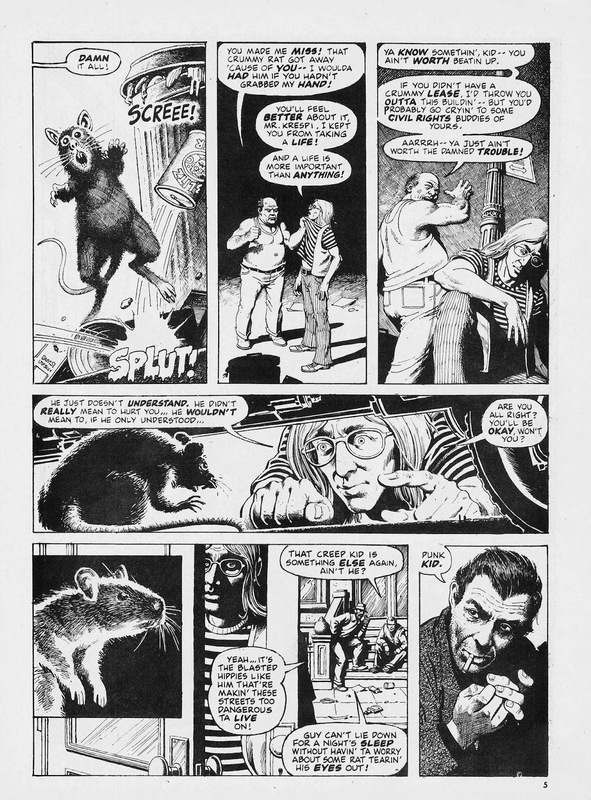 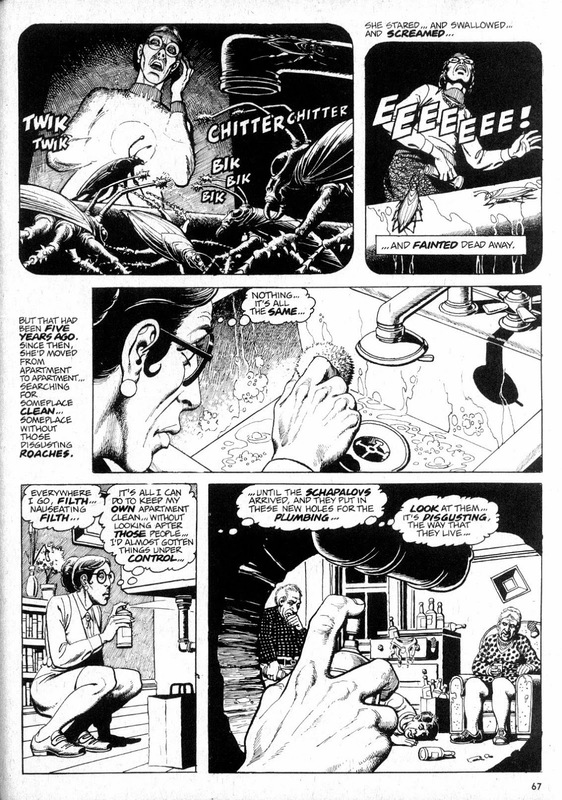 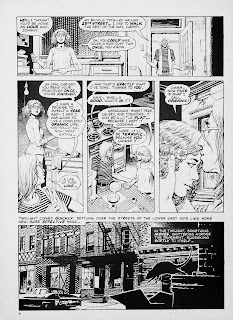 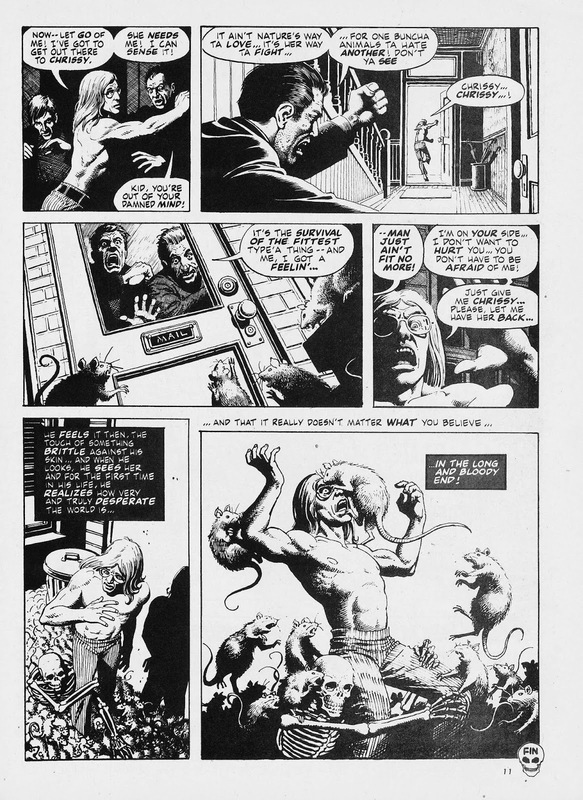 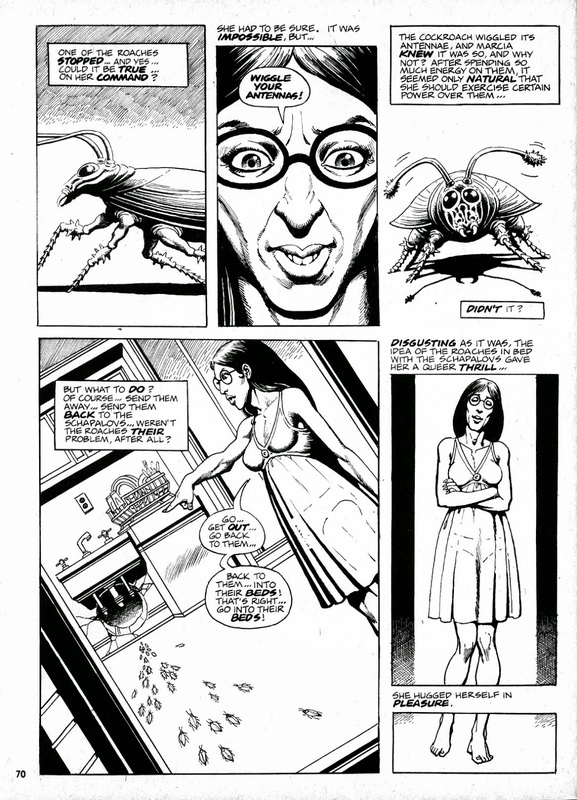 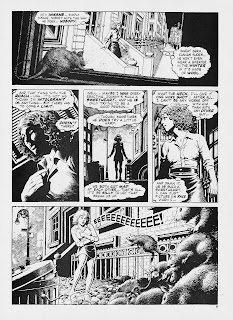 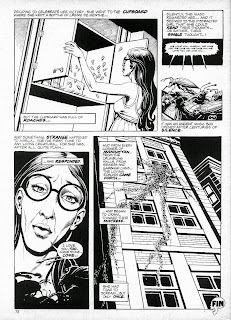 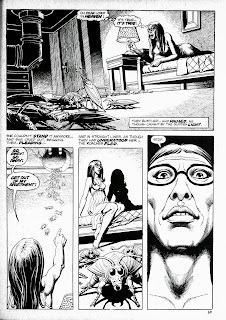 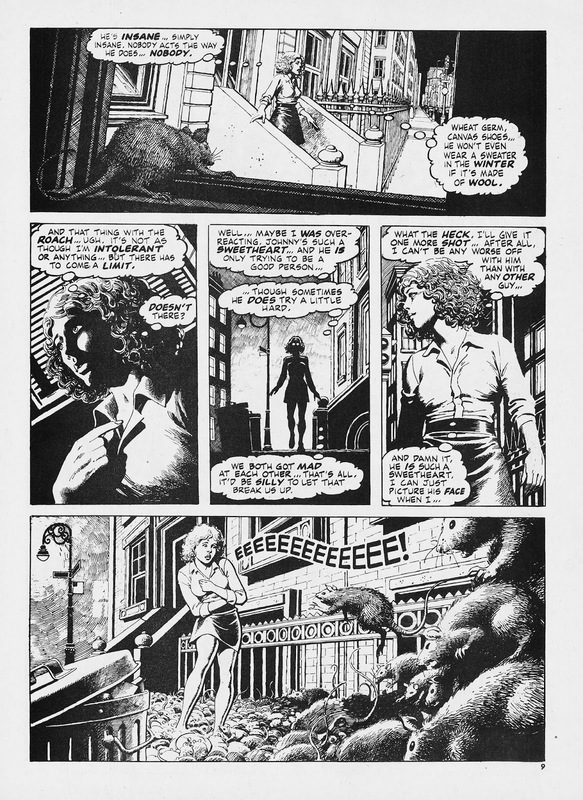 Here's a couple of far-out fear fables from the mean streets of '70's New York, courtesy of Thomas M. Disch, Gerry Conway & Ralph Reese, and originally seen in The Haunt Of Horror and Monsters Unleashed respectively. 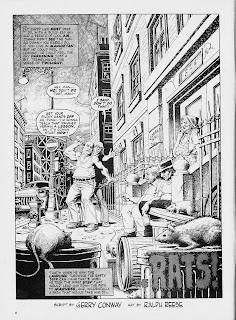 No one's better at desperate, pockmarked, pus-ridden and sweaty characters like Reese, and a couple of tales about the other denizens New Yorkers have to share their city with is tailor made for his superbly stinky stylings. 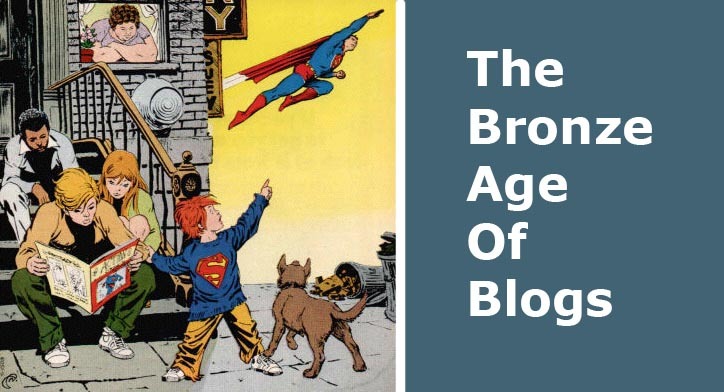 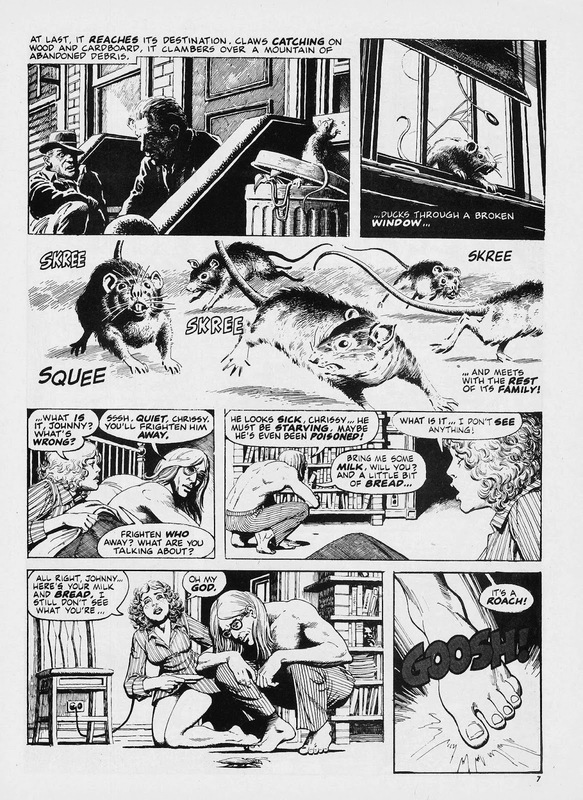 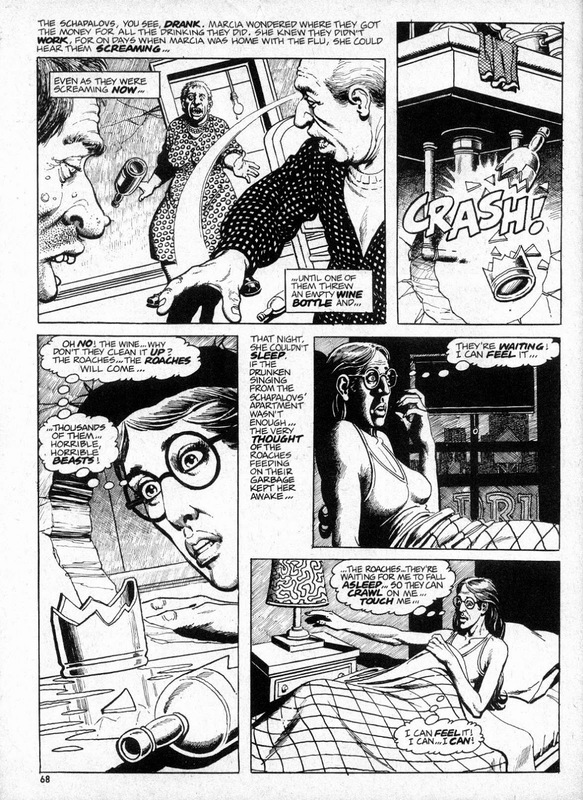 The Rats also has some fun cameos, with Roy Thomas & Trina Robbins as the young couple, and even Reese's mentor Wally Wood popping up in one panel. 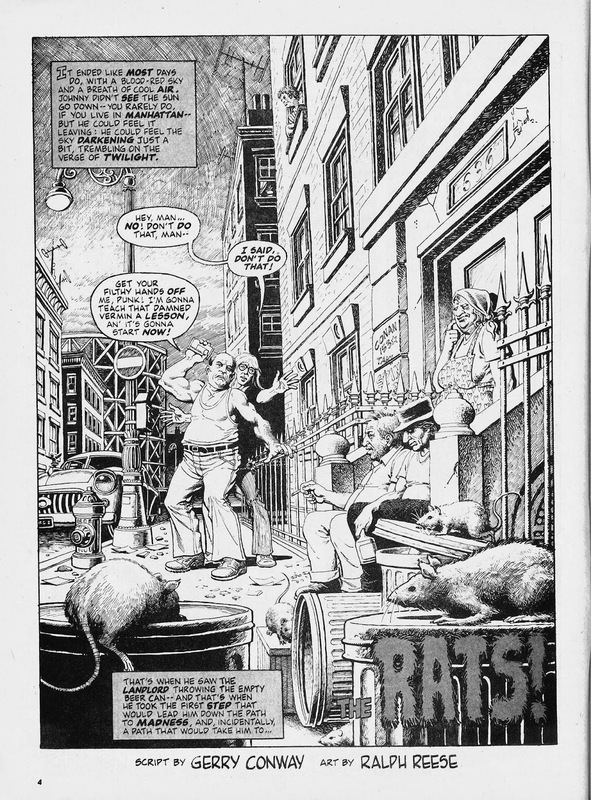 But that's icing on a rotting cake. 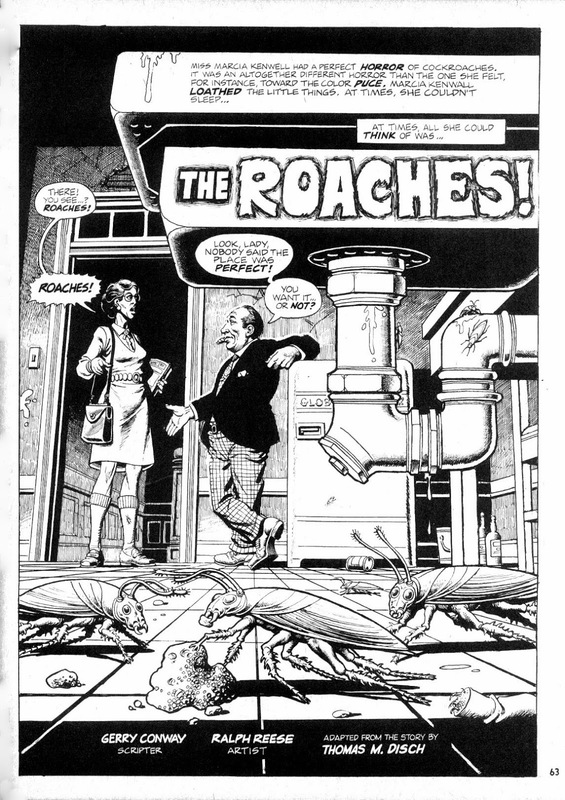 The real treat of both The Rats and The Roaches is the absolute, skin-crawling reality of it all.